This past Friday afternoon, I experienced one of the easiest professional renewals imaginable. A few months back Jeff Lail and I posited on Twitter that we should get some like-minded folks together this summer. He and I had a quick G+ hangout and over the course of that 20-minute dialog chose a date and set a loose agenda. After a bit of nail-biting on promotion and registration volume, we settled into a nice event called the NC EDU Innovation Meetup (see this site). By the end of the afternoon, I found myself thinking, “why don’t people do things like this more often?” It was essentially a mix of a meetup, an unconference and an idea generation session. And it was a lot of fun. And easy. And renewing. Some really interesting ideas were formed — everything from student affairs leaders having a “new professionals advisory board” to creating an online “collaboration generator” to help student affairs offices look for successful cross-departmental collaborations from across the country. It remains to be seen if anything will come of any of these ideas. But, that’s beside the point. Folks left inspired and energized (or so they said on their facebook pages after the fact!). So, don’t wait around for your annual professional association conference. Do something like this event or Baylor’s quickSAND event for student activities pros. Go make something interesting! I stumbled across this IKEA Australia promotion and thought it was brilliant. The basic idea: people throw catalogs away. So, IKEA “pays rent” to people for keeping the catalog in their homes. They’ve made a nice video explaining the project. I just really appreciate the clever thinking. I would love to do a full customer experience map for our services (like this and this). Summer project, perhaps? What are you doing to delight your students? Sometimes I think we’re so focused on the nitty gritty and just “doing the work” that we fail to excite and delight. Tom Krieglstein posted a piece over on the Student Affairs Collaborative Blog that fits perfectly with what I’m trying to do here on this blog. In his post he linked a few videos, and I wanted to share one here, as well. I’d love to see examples from student affairs pros, but I fear not many exist! I have a strong appreciation for Help Remedies‘ approach to design and marketing. They approach an issue that many have concerns with (overly complex medicine, over-medication) and put a layer of strong design and social-media savvy and an surprisingly, unexpectedly fun website. Your out-dated mode of communication doesn’t have to look out dated. I love the TomTom Letterboxes. Although it may be more form than function for student affairs, I’m having a romance with the Berg Little Printer right now. 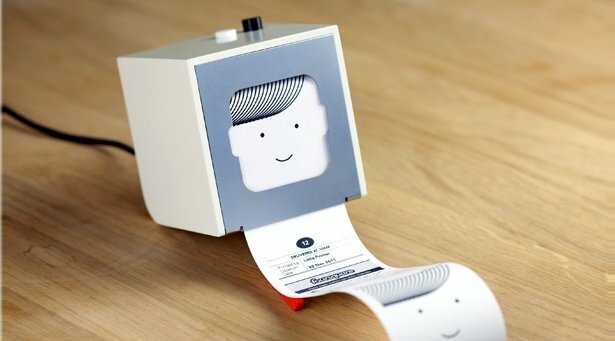 I have grand visions of being able to print custom “to do” lists or resource lists or other follow-up items after counseling sessions with students on this cute little device.